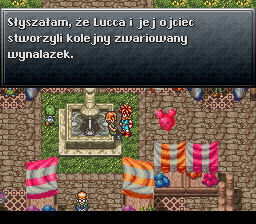 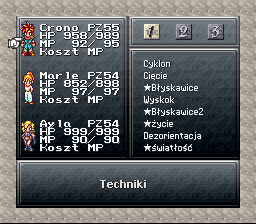 This is a complete Polish translation of Chrono Trigger for the SNES, built primarily using Bisqwit’s chronotools. 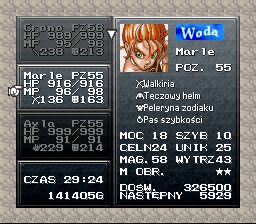 The patch boasts a 8×8 proportional font for item and technique names, as well as automatic name inflection engine - both courtesy of Bisqwit. 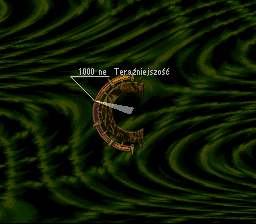 The translation covers the entirety of the text, as well as graphics (Epoch screen, element symbols etc.). 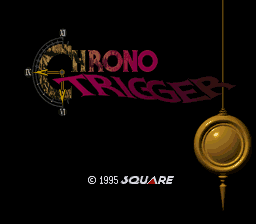 Version v1.20 fixes compatibility with modern emulators and real hardware.